Paul Martin is joined by experts Catherine Southon and James Lewis in Basingstoke, where James finds an art nouveau bowl and Catherine sees a gold pocket watch. because Flog It! has come to Basingstoke. which dates way back to 1086.
and all the crowds - well, they've come here to snap up a bargain. so let's get them inside and put them out of their misery. And it's not long before something with a great name catches James's eye. Bridget, David, a wonderful piece of Art Nouveau pewter work. Is this something that's been in the family a long time? I can remember it in my grandparents' house in the '40s. -but it's been around for 60, 70 years anyway. So it's likely... Well, that's almost new. -This was probably made around 1915, 1925 something like that. "English Pewter Made by Liberty & Co."
and then we have the number underneath that - 01130. It's a five digit number, so it's quite a late one. The earlier ones only had four numbers. The most famous of the designers is a chap called... Do you know? And everybody hopes that they have a piece of Archibald Knox. in Victoria Street in Birmingham. but had a much heavier, more masculine approach to it. this is very much cast, with its weight. The Archibald Knox piece would no way be as heavy as that. So it's been in the family for as long as you can remember? -Isn't it something you want to pass down, generation to generation? and I had ideas of putting it in the fireplace with dried flowers in it. and so I think "Oh, well, 12 years, it's time to move it on." -to start appreciating things of this period. putting it together with an Allen key like most of my mates. But I have to say, this for me, I love this. it's not gonna get you very far. and let's protect it with a reserve. Let's stick £40 on it. -If it doesn't make that, we can try it in another sale. -Super, and you're able to come to the auction? -Let's take it along and see how it does. and bringing along these rather interesting ginger jars. Tell me about them. Where did you get them from? I was given them by my granddad in 1994.
so that's as far as I know the history. Now you said that your grandparents got engaged in the 1930s? so that would work rather well. Do you like them? -Is it something you're interested in? but unfortunately they're not my colour scheme any more. I did used to collect a lot of blue. -Right, so they don't go with your decor? -So it's time to move them on? is that they are in lovely condition and they are glass. on the reverse of the glass. -but underneath that, that is where they've been hand-painted. So they're really quite well-done and rather beautiful. that tells us that they were made in Stourbridge. so it's really nice and clear for that period. these white metal lids which do look a little bit tarnished. But nonetheless, the three of them do look to be in superb condition. -So certainly you seem to have looked after them? -Now value-wise, I suggest that we put an estimate on of £200 to £300. -and how they've been rather nicely done. Walter, a cracking chest of drawers and a nice bow-fronted one as well. Look at that lovely sweep! So, tell me a little bit about its history. Where has it come from? It was my mother's and she inherited it from my grandmother. -It's been in the family a long time? -Well, yeah, I suppose it is. -And you don't want this? This is the problem with fashion today. and not fashionable, it's horrible and not worth anything. This is a cracking piece of kit and worth investing in. Look at the architecture, look at the craftsmanship. You don't find that in furniture built in the last 20 years. That lovely variegated grain, that's called a flame curl. That's cut for it's decoration. -And this is circa 1840 this chest of drawers. Yes, it is just before the Victorian period. It's got some nice... decorative handles. If you pull this out, you can see the handles have been replaced. change the door furniture, revive its appearance. I mean I think it's a practical piece of kit, you know. someone has carted that up and down the stairs and it's fallen over. -I think we're looking at £100 to £200. You're gonna get the lower end, because somebody has to do some work on it. it's too big, it's too brown, it's too dark, it looks too heavy. -No reserve? Just let it go? and spend more money to pick it up and take it home. -It needs to go! OK, see you at the auction. somebody will be looking through one of my albums like this. -of life at sea on a cruise in 1904, just over 100 years ago. Tell me, is it a family piece or something you found? -No, I just collect old photographs, you know. of typical Edwardian life on a cruise ship. all the way up the other side and home. I have to say the bit that struck me, for two reasons, was Southampton. and this is where I used to go and eat sandwiches at lunchtime. and none of these buildings were here. but looking at that, gosh, what a place it was! and there we have HMS Victory. there she is, sitting in the water at sea. and it really will appeal to a photograph collector. -It's of far more interest than commercial value. -But somebody will love it, I'm sure. and a reserve of £40, would you be happy with that? That would be perfect, yes. -Well, let's take it along and see how we go. and right now it's time to put those valuations to the test. we'll leave you with a quick recap of all the items we've found. and Liberty is one of the best names. This is bound to do well for Bridget and David. but I'm sure they'll fit right in with somebody else's. does anyone want brown furniture any more? Well, I think now is the time to buy it. from his collection of old photographs. Will this record of an Edwardian cruise sail away? Let's find out. where our auctioneer, Andrew Smith, will be overseeing our lots. Boy, have we got a show lined up for you today. that are just about to go under the hammer. Unfortunately, one of our experts is missing. We've got Catherine Southon, but James Lewis cannot make it today. so we can get his reaction to whatever happens. Keep watching because there's gonna be one or two very big surprises! Right now in the frame we've got Alex and his collection of photos. -a cruise around the British Isles in the early 1900s. -Are you a keen photographer? How many photos have you collected in your lifetime, do you think? Ooh, probably 3,000, 4,000, or more. We've got about £40 to £60 riding on this. than James's top end of the estimate. I'd like to see £80 to £100 on this. Maybe it's wishful thinking, I don't know, but bon voyage! James, what do you think? We've got a packed room behind me. I'm convinced that this photograph album is gonna do well. £40 to £60, maybe top-end estimate. OK. Here we go. We're going under the hammer now. Lot 122, various ships illustrated there. -We'll start the bidding at £45. -Commission bids, lots of interest. 50 at the back, commission bids are out. £50 and selling. Five? -Come on, more, come on! -At £50 in the room now, at £50. Any more? All done. At £50, last time. James was spot on, he said £40 to £60. Bang on in the middle. -£50 is a great result. I was obviously more accurate as a valuer on the day than I am today! -I think you're worth a small fortune! and here is something for all you Art Deco lovers. And it will set you back £200 to £300, won't it? because of the little metal bits. OK. Why are you flogging these? Because they're just boxed away in the loft at the moment. they've got a real look about them, a nice trio. Well, we've got a fixed reserve of £150. I think they're priced to sell. Fingers crossed. There's three of them, £50 each as far I'm concerned. -Let's hope we get Catherine's top estimate. Lot 420, there's three Stourbridge tea caddies. Start me at £200. £200? £100 if you like. £100, thank you, and ten. Right up at the top - 150, 160. £150, it's with me at the moment at £150 at the top. Any more? At £150, then, for the very last time. We sold them, the hammer's gone down. -It's better than having them in the box. for my grandparents in their family name. That's nice, a bit of genealogy, yes. -So it will be put away until I'm able to start that. What a lovely idea! How fantastic! who will be conducting the auction. Right, my turn to be the expert. the Cuban mahogany ones, they belong to Walter. We've got the chest of drawers. Walter can't be with us today but we've got his daughter, Hayley. -because they've been in the family quite a long time. -You may have used them in your bedroom! Look, I hope you get the top end of the estimate for dad. -He was quite adamant that he didn't want a reserve. -there's about ten chest of drawers here. It's very similar. They call it brown furniture. so fingers crossed, somebody will pay good money for this. Lot 855, the bow-front chest of drawers. Good chest here. Start me at £100 for it. £100? 50 then? Just to get me going. £50, no less. £50, surely? For the bow-front chest, £50? I won't sell it for less. Nobody wants to buy a chest of drawers! If nobody wants it at 50, we'll pass on it. No? OK, well, we'll move on. rather than you sort of put it in the car and take it home. -he can put it in another sale coming up in a couple of weeks. all of this furniture, nobody wants it. -£50 is nothing, is it? Everybody needs a set to put their clothes in at home. an early Victorian piece like that for 50 quid! Ooh, I love this little pewter bowl. It's in the Art Nouveau style and it belongs to Bridget and David here. I've been waiting for this moment and I'll tell you what, I love this. I think it's a gorgeous little shape. I know, James, you really like this. It's got a fixed reserve at £40. I think it could do a lot more than that. I'd like it to do a lot more than that. Any change of plans here? Let's hope it makes 100. You've heard what James has got to say, you've heard what I think. I think it's down to the bidders now of Winchester. So let's find out what they think. Lot 750 is a Liberty & Co jardiniere. They like it! It's got the look! I knew James was being a bit mean! At £130 commission bid, then. At £130, if you're all done? £130 for the last time. £130, what a great price. I'm so pleased with that. People loved it as much as I did and that's gonna go to a good home. I was happy with £40. -Ah! But it had the look! It really did, it really did. It attracted people to it, so I'm ever so pleased with that. And I hope somebody enjoys it. that's for sure, but things don't always run that smoothly, do they? Car trouble - it always happens when you least expect it. I don't know much about engines, but I do know a man who does. and have rescued us from roadsides over the years. of the car industry is the AA, the Automobile Association. And its HQ is in Basingstoke. and even as far back as the '70s, they had over five million members. This was when they introduced a brand new Relay service. -It's brilliant. Doesn't it look American-like? -Built in Luton, isn't it? -Not built in the USA. -It's typical '70s. Is it early '70s? -It is. This one is 1974. -But Relay actually came into force in '73. -Oh, only a year before? Only the year before, and we had 15 of these and this was one of the very early ones that we took on. Gosh! Do you know, I thought they'd been around since the '60s! No. We didn't do much in the way of towing. towing long distances and that's when we started up the Relay. And this was the standard issue, was it? -Yes, one of the first ones. -But I love it. It's in great condition. -This was just restored by a patrol. I mean all of our vintage vehicles have been restored and looked after by patrols. -Have you got many more examples back at the depot? -Yes, we've a few for you to see, from different eras. -I'll tell you what then. We'll load my car up, get it on the back and I'll ride in the cab with you. -Yeah, that will be great. The AA was formed back in 1905 by a group of motoring enthusiasts. Their aim was not to offer roadside assistance, but to get around the law. being prosecuted for speeding by the police so patrolmen were sent out to warn members about speed traps. eventually swapping the pushbike for more mechanised forms of transport. I love it! Hi there, hello. Shaun, hi Shaun. I like the uniform, as well. -That's a BSA, isn't it? And how many of these were on the road? patrols still on pushbikes, as well, so we had a mixture of the two. -You could get the kit in? -Yeah, jacks, water, first aid kits, petrol, yes. so it was quite a common thing for people to run out of petrol, so we carried that. Shaun, this is in fantastic condition. -Absolutely unbelievable. It still goes like a dream, I gather. -so you can't knock that, can you! -No, you can't, you really can't. How lovely. So many people can remember these, you know the old bike and sidecar. I mean this is a real iconic picture of the AA in the early days. The number of cars on the road doubled in the 1950s and doubled again in the '60s. With more cars on the road, the bikes were deemed unsafe and in 1961, a new vehicle came along. It would make the world of the patrol man a drier and more comfortable place. -A bright red one. It must have been ex-Post Office! -Can we have a look inside? -Look at that! Even a yellow jack! in the garage, that's an original tool box from the same era. The fuel cans are original so we've tried to keep it as much original as possible. -You're passionate about this one, aren't you? We, meaning you and a friend? Another patrolman, Nick, he helps me as well. He's a Mini fanatic as well so we've spent many a winter's night in the garage, stripping this one down. or condensation in the distributor cap and damp leads and things like that. Is that the usual case today? We still get flat batteries - our most common breakdown. Leads and distributor caps are pretty much a thing of the past. so it's a different world to what we used to work on when we were driving these around. because this is what the AA was all about, you know. It's nostalgia. You know, kids can see what I appreciated when I was young. Well, I thoroughly enjoyed my little trip to the headquarters of the AA. It's like taking a journey back into the bygone days of classic motoring. eyes open because the rarer it is, the more valuable it's going to be. Well, back at the Anvil now and people are still queuing outside, so we'd better get cracking. 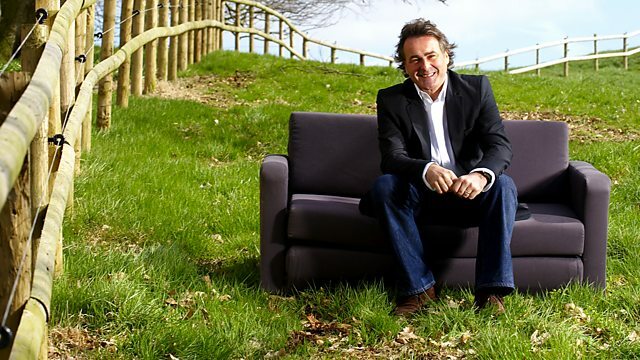 Roger, welcome to Flog It! three drawers, made from brass with this nice wooden section at the base and a good lens cap. Now tell me, where did you get this from? I was given it as a Christmas present by a family friend. -It's a rather generous Christmas present! Very kind. Why is it that you're wanting to sell it? he always wanted to borrow it. got binoculars now and that just sits in the cupboard. I mean you say that you used it, but it is in lovely condition. seems to be in rather nice condition, so although you used it, it seems that you actually cherished it. Yes. I looked after it, yes. telescopes of this sort of period, late 19th century, we usually find a signature on this first drawer. We'd be looking for a name such as Carey or Dolland. Sadly, this one isn't signed which will make a difference to the price. I was advised, when I was given it, that it was German from the First World War. latest 1910, but certainly not German. to have the signature along the first drawer, which would have given us a higher estimate. -£60 to £80 with a £50 reserve. How does that sound? -and thank you very much. but I have to say, when I saw these two, we had to talk about them because they are fabulous examples. They're Moorcroft really at its best. one of the longest-running Moorcroft designs and really you can see why, because the colours work so well. -blue background really does work, doesn't it? Are these family things or have you discovered them somewhere exciting? -They were given to me by my grandfather. And I used to try and draw the flowers and things, copy them, when I was little. -Yeah, and he always said to me, "When you grow up, you can have them"
and he died and my grandmother, every time I went to visit, she used to say "take your vase and bowl"
I'll get it broken or, you know, but my grandmother died this year so I had to bring them home. so I can't put them out on display, they're stuffed in the cupboard and I just think it's such a waste. Somebody should have them out on display, because they're so lovely, really. I think even small dogs do damage, don't they? And they would get broken and it's a shame, really. hear it when you give it a good ring and the interesting thing is also, you've got the "WM" mark there. not William, so here we're looking at a piece probably in the 1950s/60s. What do you think they're worth? You've seen them on Flog It before, I'm sure! I have, but I've never seen any this size. Well, that's why I picked them. -I would not like to sell them for less than £350, I really wouldn't. I think we've been training you quite well, because the estimate that I'm going to put on these, £350 to £450. -£350 reserve. Are you free to come to the sale? We're going to go to Winchester. Ever been there? Should do well, fingers crossed. -Good result on the day. Enid and Laurence, you've brought this charming pocket watch - nice half-Hunter, there. It belongs to my mother's side of the family. and passed down through the family. Well, you'll probably know that it is a half-Hunter pocket watch. this by pressing the button here and we can see the enamel dial which is in rather good condition. rather good condition and then we've got the subsidiary dial here, which is telling us the seconds. So if we open the back here, we can see the movement. think the watch will command a huge price at auction, but nevertheless, it is 18 carat gold. Do you have any idea of the date of it? I think it's been in my family well over fifty years, I would imagine. So take a stab. What sort of date would you say? 1920, '30s, something like that, I don't know. -A lot earlier than that, 1907. -Oh, gosh! As early as that! Oh, right, goodness. It's hallmarked for that so we can say precisely 1907. It's got a nice chunky chain here as well and this lovely little propelling pencil at the end. Is this something that you're not interested in, Laurence? No. It's a bit of a watch, but I'm afraid it's not my sort of thing. I'd never wear it, to be honest, and it's in a drawer, gathering dust. So you never really look at it, or? The problem is today, these items aren't so fashionable. the kind of thing that men would wear. Have you any idea of how much it would be worth at auction? -No idea whatsoever, no. No idea at all. estimate of £350 to £450, and I would suggest putting a reserve on of £300. Fine. Could we make the reserve £350 if possible? Yep, that's no problem at all. We'll make a firm reserve then, cos it seems you are quite attached to it. Well, we wouldn't like to give it away. That's fair enough. I totally understand. -We'll put a reserve of £350 and let's hope it does well at the auction. Thank you. So before we head off to the sale room, here's a quick reminder of what we're taking with us. so let's hope the bidders focus on it today. and far too good to be at the mercy of Lou's dogs. is a hefty 18 carat gold, so I can see this doing really well. Welcome back to this packed auction room. the auctioneer, Andrew Smith, and he gave me his thoughts on one of our little lots. Enid and Laurence's half-Hunter, 18 carat pocket watch. It's got lots of quality. It's been in their family a long time, it's been passed down through the generations. We've got £350 to £450 on this. -There's a lot of gold there. -There is an awful lot of gold. there's £300 to £400 worth of scrap gold. Yeah. We've seen that on Flog It a lot, actually. the fob chain's is always worth £200 to £300 and you can do a lot more with the chain, I guess, can't you? Yeah. And here the Hunter is very nice in itself. -Do you think we could get £600 for this, then? This is the sort of thing which, if we have enough interest in the room, it could go for quite a bit more. -Watch this space. Time is now up. And James is still with us in spirit. We'll be hearing his thoughts from his sale room in Derby and first up is the telescope. 55 years ago, a long time. A long time to hang onto a little Christmas present. -Obviously meant a lot to you? -I was a young man. Did you sort of walk around the house using it, playing with it? And you got it out the box recently, brought it along to the valuation day, met up with Catherine. What have we got on this, £40, £50, £60? No. I think it should do £60 to £80, I would hope. The condition is with it, isn't it? Absolutely! It's in lovely condition. Hopefully the bidders aren't sitting on their hands. I think it's priced to go. Lot 765 is a lacquered brass three drawer pocket telescope. We have had interest in this, we have had a commission bid. -£55. Is there £60 in the room? At 55, 60, and five, 70? At £65, any more? At £65 are you done? At £65 then for the last time. Yes, the hammer has gone down. Right, this next lot has got the lot. -This has got the lot. It's Moorcroft. -There's plenty of people collecting it, Lou, and you're flogging it. Why are you flogging it? -I've got nowhere to put it. -I've got really big dogs. Well, I know James fell in love with the Moorcroft at the valuation day. We've put £350 to £450 on with James and I think that's spot-on. so £350, £400, something around there, I should think. because Lou doesn't want to take home a penny less, do you? No. I found out the pattern is an Iris pattern, and that was my grandmother's name. -So it tugged at the heart strings. -Because they've been in the family a long time. selling off their family heirlooms that have been in the same family for three or four generations. -My daughter wouldn't want them. them now because she's possibly what, how old is she? -I've got more at home. Problem solved. Let's flog it, let's get on with it. They're going under the hammer, two lovely bits of Moorcroft. Lot 400 is the Moorcroft Pottery shallow bowl. We have a commission bid, so I'll start the bidding at £300. Is there 20 in the room? At 320, at £320. Any more? £350 right at the back, 370. -Come on, we're so close. At £350. Last time at £350. -You fixed that reserve at £400. -I did for a reason, really. James would have sneaked it in at £350. James is thinking "I told you so", aren't you? so they're not doing themselves any favours increasing that reserve. -I'll put it back in the wardrobe! Put it back in the wardrobe! -Well, you've got to get it away from the dogs. Now I know it's an Iris pattern, I would, yeah. -Yes, OK, hang onto it. Well, this next item has been in the family a long time, like many of our owners' antiques. are you feeling a little sad, right now? Well, I'm not, but my wife might be! -Aaah, but the money will come in very useful? And let's hope we get Catherine's top end. -It is a nice watch. I had a chat to the auctioneer just before the sale started. He agrees with your estimate but it could do possibly £100 more. -Ooh, let's hope so. That would be nice. -It's working, it's 18 carat gold. It's good quality, it should do well. Precious metal is doing really well, right now, isn't it? -It's the time to sell. Lot 140 is the gentleman's gold half-Hunter pocket watch. I'm going to start the bidding at £400. Is there 20 in the room? 700 to the telephone. Is there 20? At £700 and we are selling at £700, if you're all done. What are you gonna spend the money on? -It's our 30th wedding anniversary next year. And we thought we'd put that towards a break. -I think you should have a party now! -Oh, how lovely! How lovely! Well, the auction's still going on, but we're coming to the end of our day now. It's been a brilliant day. weren't meant to sell, so they're meant to be kept and cherished for a little while longer. All credit to our experts, I think they've done us proud. I hope you've enjoyed the show, so for now, it's cheerio from Winchester, until the next time. Flog It! comes from Basingstoke. Paul Martin is joined by antique experts Catherine Southon and James Lewis in the search for small objects of desire. James is delighted to find a beautiful art nouveau bowl, while Catherine is bowled over by an 18-carat gold pocket watch. Paul jumps in his car and takes a nostalgic journey back to the early days of motoring.